The '12 Years a Slave' auteur returns with a story brimming with Chicago-style corruption. But that's only the beginning. Steve McQueen can keep a secret. The Oscar-nominated director of “12 Years a Slave” is out promoting his new feature, “Widows.” The film’s starry cast, including Viola Davis, Liam Neeson, Robert Duvall and Daniel Kaluuya, tells a pulpy heist tale teeming with grim, double crosses and even empowerment. One scene in particular will leave audiences talking, if not gasping. McQueen won’t as much so say as a syllable about it while talking up his film. He’s gentle but firm. He refuses to let any element of the surprise slip. Good thing there’s so much else to explore, a rarity for genre films. It’s how the celebrated storyteller likes to operate. Pick a genre, and then defy it. “I respect my audience. They’re very, very intelligent,” McQueen says. Yes, “Widows” offers enough twists to satisfy heist junkies. That’s wonderful, but it’s hardly the critical through line for him. It’s the “emotional strands” that count the most, he says. 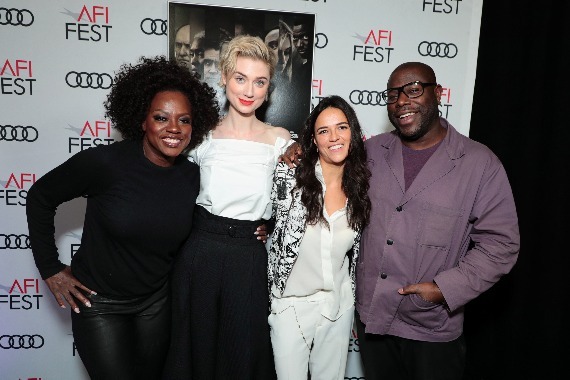 Director Steve McQueen, right, with cast members from ‘Widows’ – Viola Davis, Elizabeth Debicki and Michelle Rodriguez. “Widows” follows four women left with a massive debt when their husbands die during a botched robbery. 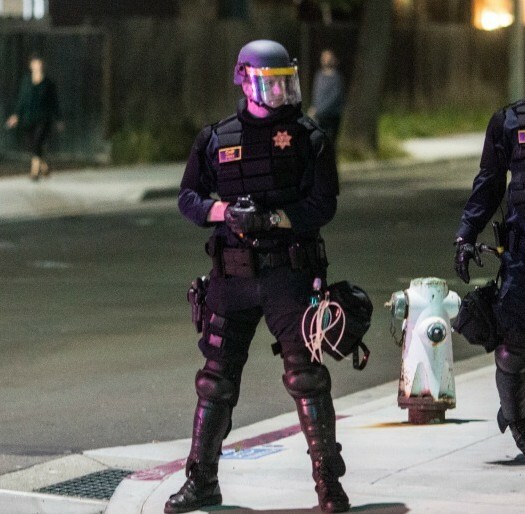 They could run to the police or beg for mercy. They have other plans in mind. 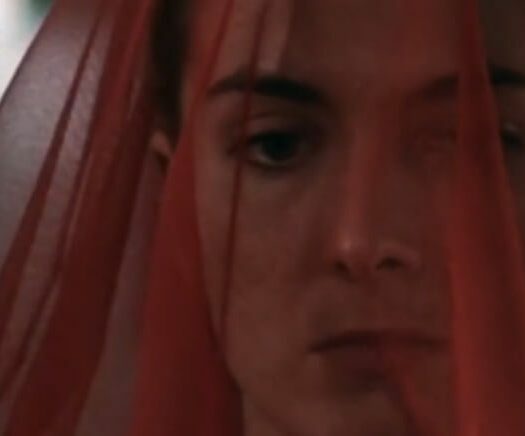 The film spins from an ’80s British miniseries set in London. McQueen’s version hails from Chicago and that’s hardly accidental. Nor does the Windy City stay in the background. He craved a western contemporary city in which to set his story. Chicago offered so much more. “So many aspects of what happens in Chicago, the racial divide … everyone is extremely divided. At the same time the way the geography is, everything is in close proximity to each other,” he says. McQueen co-wrote the screenplay with Gillian Flynn (the author of “Gone Girl”). The story brims with violence, revenge and the sins of the ones we love. It’s primarily a vehicle for four headstrong women left an nearly impossible debt to pay. Telling a female-centric story felt natural for McQueen. FAST FACT: A family portrait Steve McQueen drew at the age of 5 earned a spot outside London’s Shepherds Bush Library. The director studied art at London’s Chelsea College of Art and Design, but later embraced film at Goldsmiths College. His early years saw him score accolades for his art, but he successfully segued into filmmaking with the acclaimed dramas “Hunger” (2008) and “Shame” (2011). He doesn’t actively draw from that artistic past, but he considers it part of his storytelling toolkit. “I suppose it makes me look at things carefully … and how much one shot or one image can say three of four different things,” he says of a “heightened visual vocabulary. McQueen picked up a Best Director Oscar nomination for 2013’s “12 Years a Slave,” but his next project finds him working with the BBC on a dramatic series. What’s next? It might surprise those weaned on his gritty, socially relevant yarns. “I want to do a musical,” he says. Is Atwood’s ‘Handmaid’s Tale’ a Trumpian Prophecy?